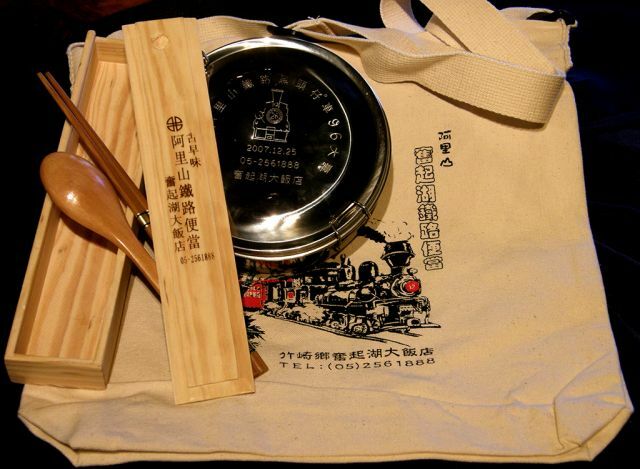 One can’t miss the well-known Fenchihu lunchbox for their Fenchihu travel! and carefully selected fresh ingredients. Fenchihu lunchbox from every bite. 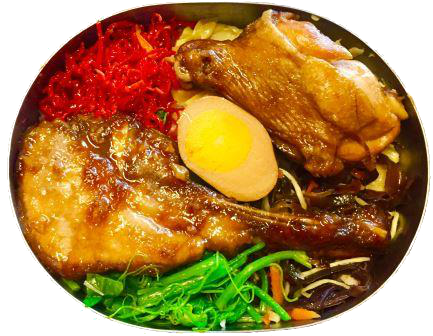 “Persistent” is the secret of success of Fenchihu lunchbox! Back in old days, when train came closer to the station, vendors would get ready to yell out “Bento, Bento” and carried thousands of freshly made lunchbox onto train compartment to satisfy traveler’s hunger and taste buds. Sadly, this vivid, lively scene is now a history. Before the opening of Alishan Highway in 1982, Alishan forest train was the only way to Alishan. 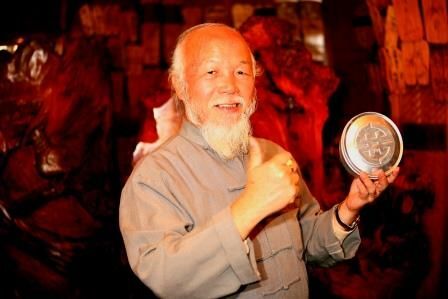 During that golden period, each train carried about 2, 000 passengers a time, and Den Shan Shi Tang (Mountaineering Cafeteria) was the largest lunchbox producer. 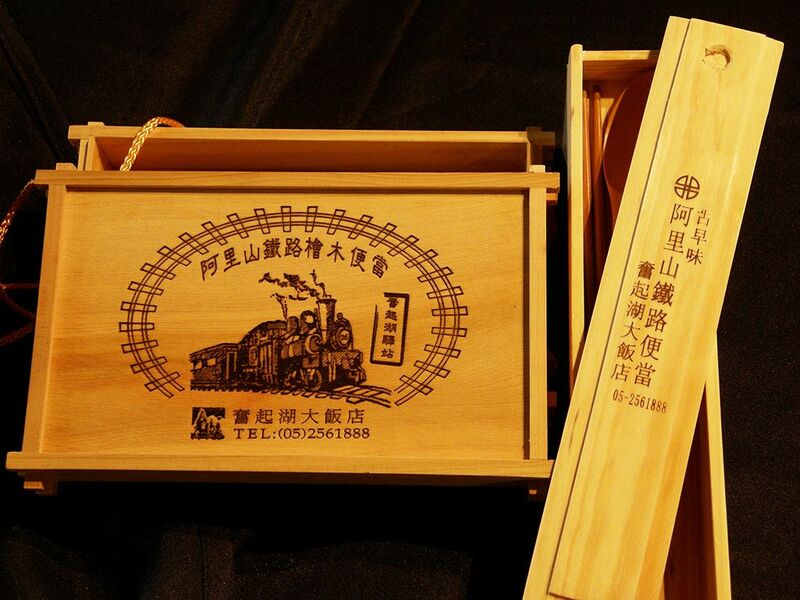 The history of Fenchihu lunchbox is almost equivalent to the history of Lin’s Family (the founder of Fenchihu lunchbox) for that they had been through many ups and downs. 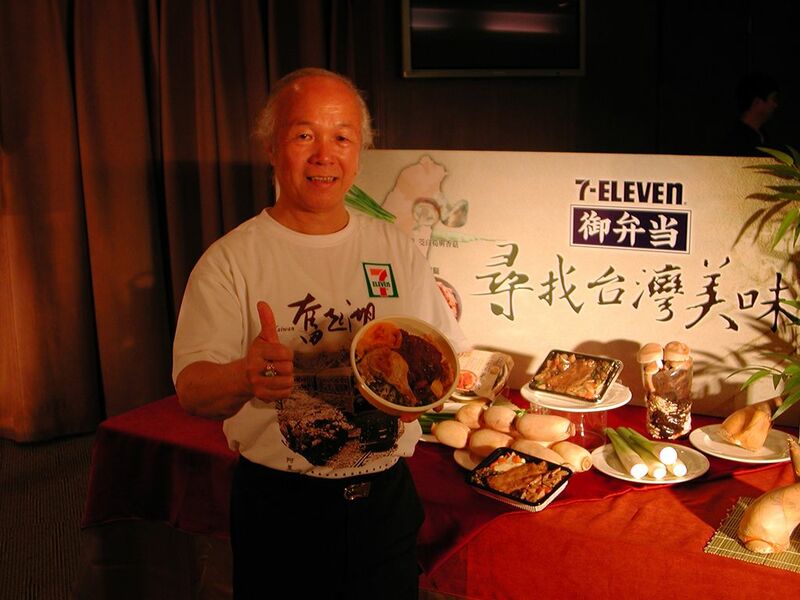 During Lin, Jin-Kun (the second-generation of Fenchihu lunchbox founder)’s childhood when there were no Fenchihu lunchbox, the locals survived on selling cakes, dumplings and noodles to travelers. He had to carry 8 bowls of noodles; 6 on the bottom and 2 on the top with a board in between and wait at the platform for the incoming passengers. It was such a hard job for a 10-year-old child to carry heavy bowls. He could still remember the times that he could not manage to pass the noodles through train window and accidentally knocked-over ending up wet like a drowned cat but still had to wait until the passengers finish and collect bowls before train departs again. There were no Fenchihu lunchbox until 1961. Back in old days, visitors would buy lunchbox from Chiayi. However, the climate in Chiayi is rather humid and hot, lunchbox wasn’t as tasty as it should be by the lunchtime arrived in Fenchihu, the halfway point of Alishan Forest Railway. “Den Shan Shi Tang” (Mountaineering Cafeteria) was the first to sell lunchbox in Fenchihu. As time went by, travelers would not tolerate the bad taste of lunchbox that has been carried all-the-way up to Fenchihu and began to purchase cheap, freshly made lunchbox from Den Shan Shi Tang during the short stop in Fenchihu. Den Shan Shi Tang hit its big time after 1967, setting a record over 1,000 lunchboxes a day. Most of the travelers would book their lunchbox a day prior to travel. Not to disappoint the travelers, Lin’s Family had to work since middle of the night while everyone was still asleep. Following the opening of the Alishan Highway in 1982, the town went into a sudden decline. Even worse, the popular Fenchihu lunchbox was no longer popular, less than 10 lunchboxes were sold on the opening day of the Alishan Highway. With the decline of the Alishan Forest Railway, Fenchihu now survives not just a stop-off point, but also a destination in its own right. Today, Fenchihu has grown into a picturesque little old town with many fabulous scenic spots and hiking trails, which are well worth exploring. A number of accommodations, including “Jin Rih Guesthouse”, “Fenchi Guesthouse”, and “Fenchihu Hotel” are established to welcome all travelers to explore the wonders of Fenchihu. 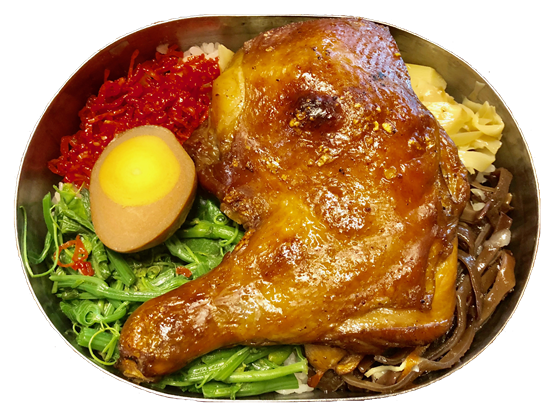 Later on, the owner of Fenchihu Hotel, Lin, Jin-Kun restored the business of Fenchihu lunchbox using the traditional recipe offering a perfect memento to all travelers. Copyright © 2019 Fenchihu hotel All Rights Reserved.